Beware of Trends: Trends are not necessarily your friends and there are few things more unappealing to prospective home buyers than homes that are littered with the remains of dead trends. That being said, we do know that this can be a tough line to toe since it can be so easy to get caught up in liking the latest and greatest design trend, but the reality is that trends can go just as quickly as they blew in. When this happens, all home buyers see is the cost they are going to have to fork over to replace the trendy mistake. Keep an Eye on Appliances: Maintaining and replacing appliances signals to the home buyer that the home is important to you, and as a result, should and will be important to them. If your current appliances look a little rough but would benefit from being fixed up, then get it done. However, if the appliances are too far gone, you might want to seriously consider replacing them altogether. Keep it Comfortable: Home buyers often place a lot of weight on intangibles like “gut reactions.” If a home “feels right” then they will be on the right path to purchasing. So do what you can to help these gut reactions speak in your favor. The easiest way to do this is with climate control. If it is hot out, turn on the AC or fans to make sure the home is comfortable when being walked through. Likewise if it is cold – get the home warmed up. Sweat the Small Stuff: When our homes our “lived in” for years it becomes easy not notice some of the smaller issues that have built up and become permanent fixtures. Get a pen and paper and put yourself through a self-directed home tour, taking note of every detail that could possibly be fixed, no matter how small. Once you have the list compiled, set to work fixing and updating, getting the home in complete working order. As home sellers, you must understand that your personal tastes might not translate to the tastes of the home buyers. While you should absolutely decorate your home according to your own personal styles, it will help you to be aware of the differences in buyer-seller tastes as you prepare your home for sale. 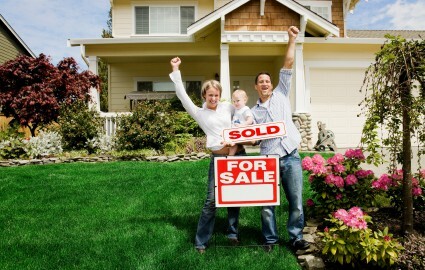 When you are ready to make the decision to sell your home, give us at Puck Realty a call 919-902-0093!